Ros Parker is principal of PROCAT (Prospect College of Advanced Technology). PROCAT is a specialist college which has been established to meet the workforce development needs of businesses which operate in sectors which are critical to the UK economy. This includes advanced apprenticeships to secure a pipeline of new talent, higher and degree apprenticeships to support advanced engineering capability and bespoke training solutions to develop the expertise and skills of the existing workforce. PROCAT was the drinks sponsor at our Womanthology Diversity Thought Leaders’ event at Warwick Business School in The Shard on 20th November. 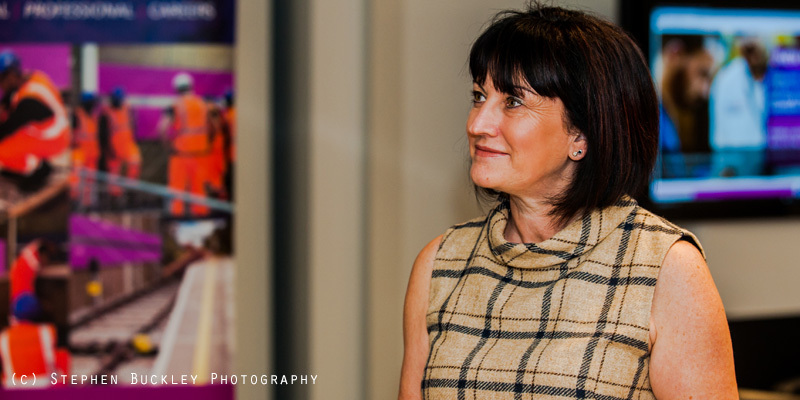 As a leader in further education I am relentless in my focus to engage women in apprenticeships that secure sustainable career paths in construction and engineering. I have recently been appointed to the role of principal at Prospects College of Advanced Technology (PROCAT) and I am relentless in my pursuit to find new ways of engaging young people with new technology that enhances their learning and opens up new career options. PROCAT is focussed on the provision of apprenticeships and the preparation of young people and adults for the world of work. It has a unique offer specialising in advanced engineering and manufacturing, transport / logistics and construction, utilities and infrastructure. We put employer and student needs at the heart of all we do to co-create programmes that are aligned with the current and future workforce skills required. With almost 1000 apprentices working for range of large and small employers we are proud that more than 90% of them go into sustainable employment having completed their apprenticeship. 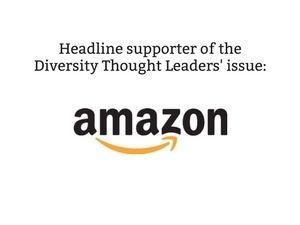 It was an absolute delight to attend the Womanthology Diversity Thought Leaders event in London to showcase our new approach to engaging people in learning through virtual reality. We have created three virtual scenarios in the areas of plumbing, electrical installation, as well as air conditioning and refrigeration. The idea is that this inclusive package encourages students to test their knowledge, skills and professional behaviours in a safe environment. The technology accelerates their learning, deepens their understanding of technical problems, enables them to find solutions and test their skills. This is a great piece of kit that brings teaching, learning and assessment into the 21st century. We met some fantastic people who were really enthused by the virtual reality experience. We were surprised by the feedback which was not only really positive but also thought provoking, leaving us with masses of ideas to build upon. At first people might have felt: “How is this going to help me learn?” This is because the term ‘virtual reality’ might have been associated to games and possibly expensive technology that is out of reach. However, once they started using it they started realising that this can bridge the gap in learning related to participial experiences in a controlled environment. I didn’t have the best school experience and left feeling I couldn’t do or achieve anything. Virtual reality is a great equaliser and an empowering tool. You are in the environment and you work through the scenarios, you get feedback on how well you are doing there and then. For many I believe it can build confidence rapidly and celebrate achievements in a way that may not always be experienced in other learning environments. The world of technology has no boundaries. 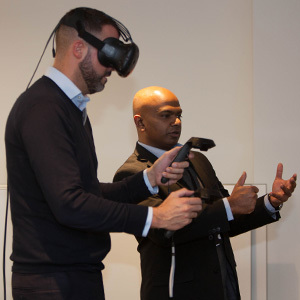 However, when you think of higher education and technical apprenticeships, the chances are that virtual reality is not something that immediately comes to mind. In recent years, digital learning has changed the face of education by becoming a supplement to traditional methods. As the UK’s first College of Advanced Technology, PROCAT is leading the development of digital learning to support technical training. As the latest learning innovation, PROCAT has opened a new pathway to teaching and learning by using virtual reality. 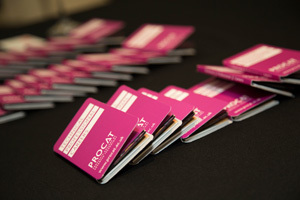 Learning at PROCAT has evolved from white boards to smarter technologies. 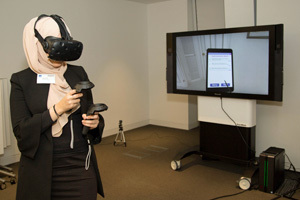 PROCAT leaped forward in 2016 by customising a virtual reality platform that enables teachers to deliver sessions in a safe and controlled environment using virtual reality and 3D. Learner and apprentices in plumbing, electrical and refrigeration air conditioning programmes are excited and encouraged by the use of this technology. 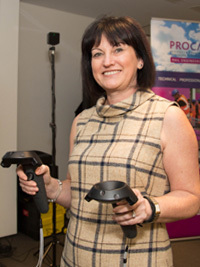 PROCAT has embedded virtual reality kits in the workshop areas where learners are able to simulate different scenarios experimenting and learning in a safe environment building their confidence to move to the real work booth giving them the opportunity to make decisions, carry out fault finding and, most of all, build their confidence. The kit is fully equipped with high end graphics processors, professional industry standard headsets and controllers. The workshop and classroom is equipped with a large 65” TV that shows the session experienced live to the rest of the class so that peer learning is encouraged. The participant is fully equipped with a virtual tool kit, testers and a blueprint of the virtual property etc. A virtual tablet is also part of the virtual reality experience where the learners carry out their tasks and assessments. Hands on learning is a key factor to the power of learning – it’s said that experience is your best teacher. PROCAT has paved a path for employers to be able to assess, verify and train their staff or apprentices at various levels before progression. Using technology for teaching and learning includes the learner’s point of view. Learners are often familiar with virtual reality / augmented reality and 3D technologies at a personal level through gaming so this works well. The equipment is more cost effective than using the real-life resource, with no wastage. There is a safe working environment where students can learn through trial and error, with the power to replicate actual actions. Every member of staff, learners, designers and developers have simulated the learning aims, objectives and criteria required so there’s a joined up experience. The highlights of the Womanthology event for me were meeting so many inspirational women, engaging in lively debate, listening to some absolutely excellent speakers and to actually be in The Shard! Other highlights had to include meeting two great policeman who were intrigued by our high-tech approach to education! I took so many ideas away from this inspiring event which included different approaches to recruiting more girls and women into areas of construction and engineering, using female ambassadors to promote technical professional education, using the outputs from events like this to develop national approaches that shape and influence policy. PROCAT is moving forward with advanced technologies and we intent to go further with virtual reality, augmented reality and mixed reality enabling an interesting and an exciting learning environment to both learners and staff.